The Chinese Embassy has now applied to the Chongwe Municipal council to change agricultural land to an exclusive burial site for Chinese. Chinese in Zambia consider themselves superior to Zambians so can’t be buried in same cemetery with Africans. 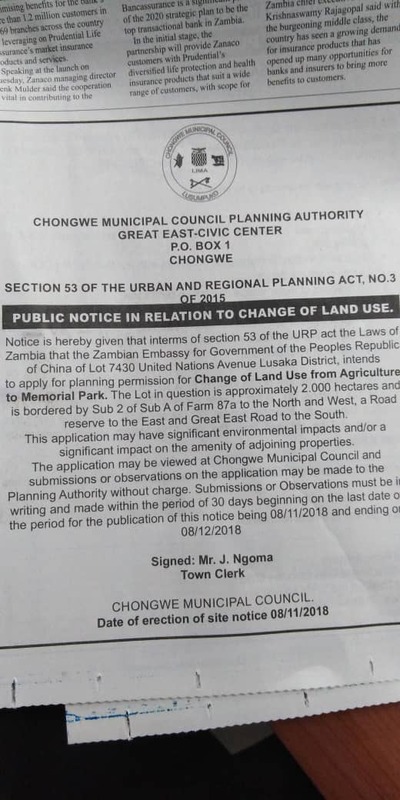 The application to change land usage is just a formality and will be approved since construction of a Chinese only cemetery is already under way.